Whether you're looking for a birdcage veil or a birdcage centerpiece, there's a new handmade-wedding retailer on the block. The wedding industry is $300 billion strong, with $55 billion of it stateside. So it's no surprise that every household-name retailer wants a piece of the pie (or, uh, $1,200 fondant cake). A major player entered the industry this morning. Amazon — which already launched Etsy competitor Handmade a couple of years ago — is introducing a wedding shop. This new venture is going after the Etsy crowd again, this time in a more targeted way. So if you're on the hunt for handmade wedding tidbits — a Scrabble-tile cake topper, customized mirror seating charts, hand-painted globes, Gatsby headpieces, and the rest — you now have one more rabbit hole to go down. In other words, just like on Etsy, here you'll find many of the wedding accoutrements couples are confident they can DIY at the start of their planning process, but often end up outsourcing to vendors with years of experience, who may live on the other end of the world. Since I have either purchased or done nerdily thorough searches for all of the above items while wedding-planning, I decided to see how the new Amazon Wedding Shop stacks up against tried-and-true Etsy Weddings. 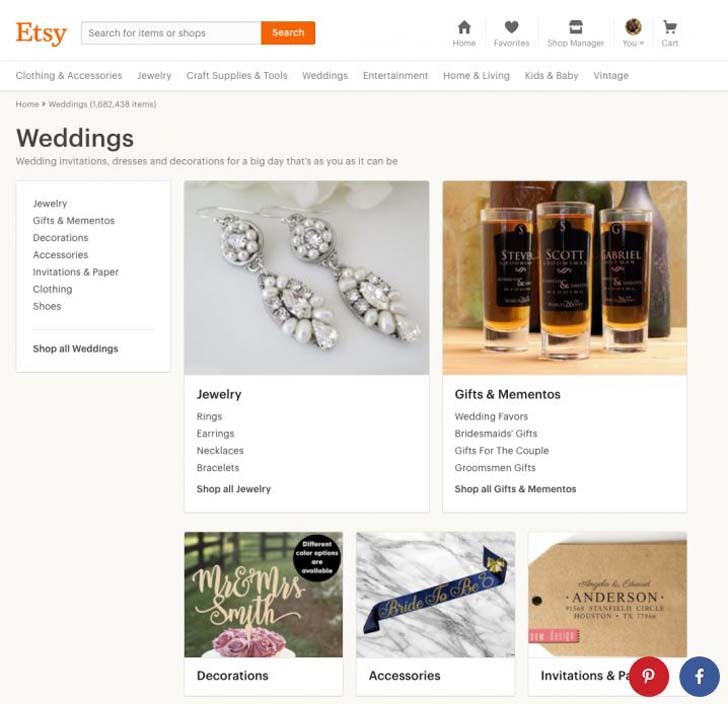 [post_ads]Selection: On Etsy Weddings, there are currently 1,683,617 items. On Amazon's Wedding Shop, there are 82,692 items. It's still growing! I also had trouble finding many super-specific items (geode table numbers, anyone?) there. You can't beat Etsy when it comes to sheer volume, but that's also what can make it so overwhelming. User Experience: Amazon's new shop is a bit more aesthetically pleasing, featuring a "personalized wedding picks" section where you can find inspiration by type of wedding, like beach, vineyard, and garden. You can also search by color palette. But Etsy still wins when it comes to selection, which is a huge part of the experience. Prices: Both retailers offer affordable selections. On the Wedding Shop, you'll find 31,830 items under $25 (38% of the total), while on Etsy 735,419 items are under $25 (43% of the total). Undoubtedly, some items are marked up just because they have the word "wedding" attached to them. TechCrunch pointed out that focusing on weddings can help businesses' bottom line; people tend to spend more on these emotional purchases. A recent study cited by the website found that retailers charged 3.9 times more for items labeled "wedding dresses" as opposed to similar-style dresses not labeled "wedding." 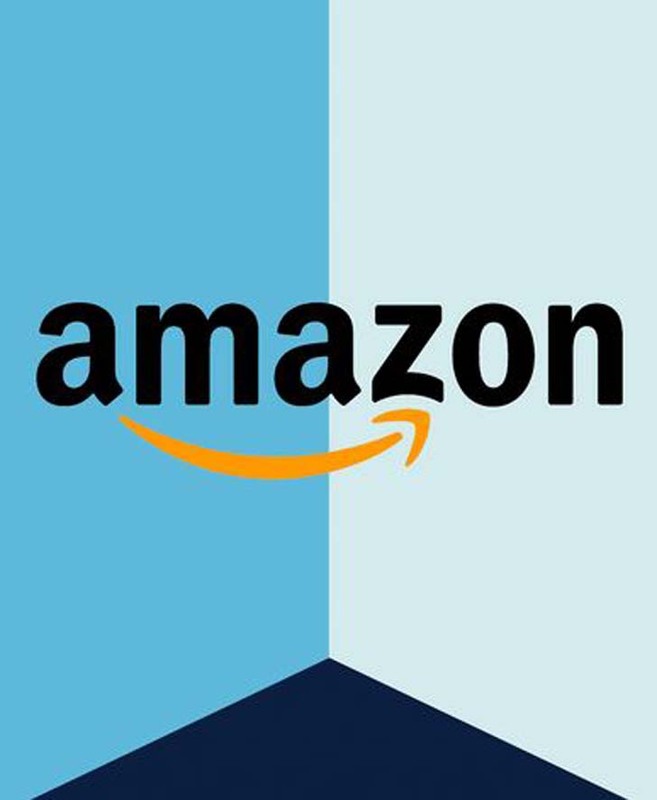 Shipping: Here's where Amazon wins out with Amazon Prime's free-shipping deals. On Etsy, you have to pay standard shipping fees, including overseas rates, if applicable. "Take The Tough Roles Other People Are Afraid Of"
Is This The Post-Glass Ceiling Generation?